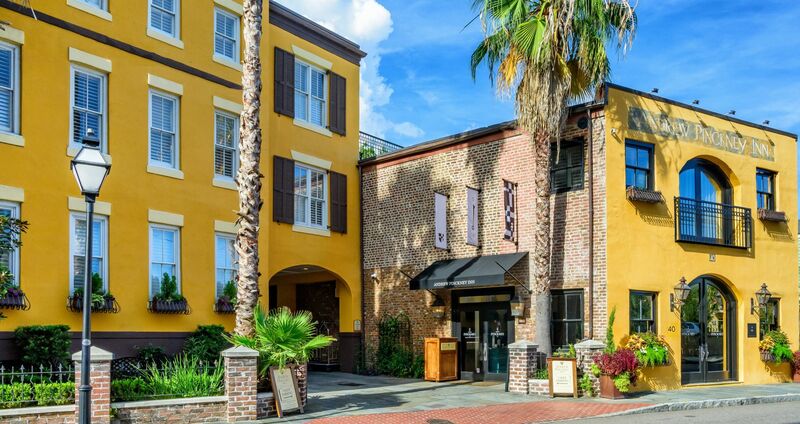 Surrounded by over 300 years of history, the meticulously restored Andrew Pinckney Inn gracefully couples old world charm with modern amenities offering a unique hotel in Charleston South Carolina unsurpassed by any other Charleston inn. 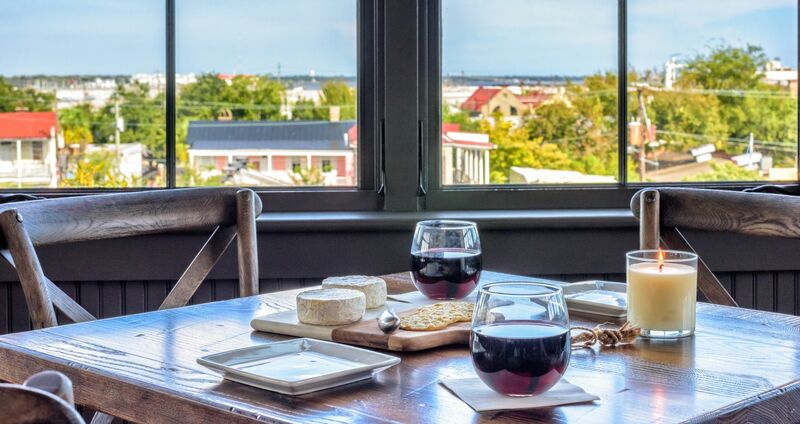 Steps away from Hank’s Seafood, FIG Restaurant, King Street shopping, the open-air Charleston City Market, the Dock Street Theatre, the Charleston Harbor, and countless other Charleston mainstays, convenience meets comfort in the heart of the Historic District. The Andrew Pinckney Inn encompasses two historic buildings that reside at the corner of Church and Pinckney Streets. The stately grandeur of the Church Street Building along with the warm, colorful façade of the Pinckney Building are both complemented by suspended window box gardens overflowing with vibrant blooms. 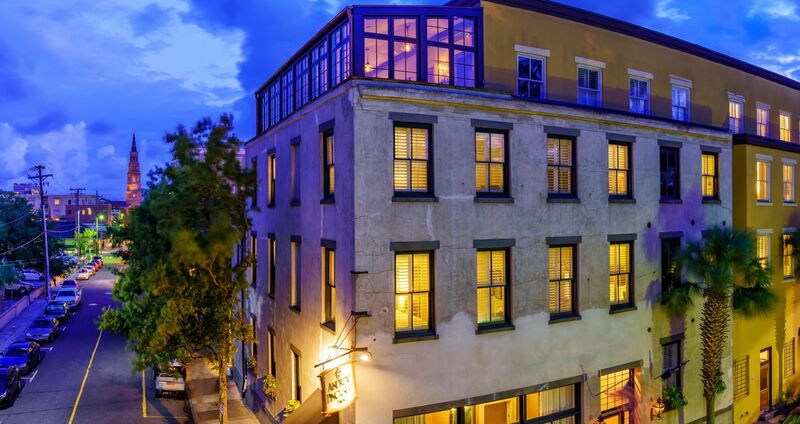 This boutique hotel stays true to the notable charm of Charleston. The recently renovated Andrew Pinckney Inn delivers a traditional British West Indies design in a soothing color palette of light blues, sage greens, chocolates and creams into each beautifully appointed guestroom. Further design elements incorporate traditional Charleston trellis and damask patterns which enhance the rich dark stains of custom in-room furnishings. In true historic Charleston style, our Southern hospitality and unmatched service parallel familiar comforts and abundant offerings unique to a historic boutique hotel. The Andrew Pinckney Inn offers exemplary options for the well-traveled guest. 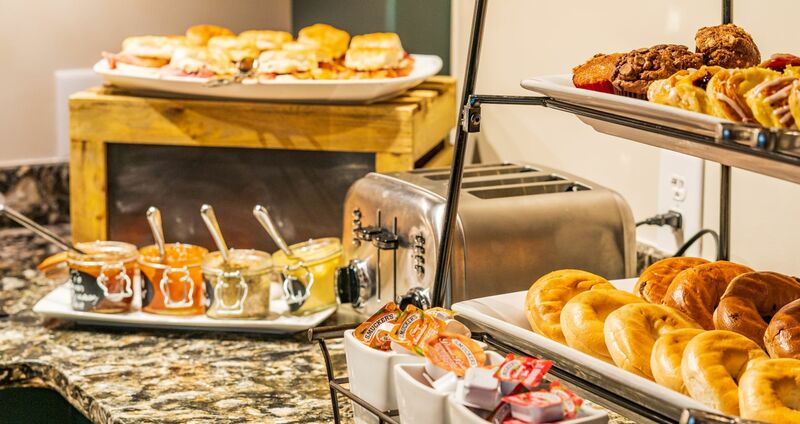 Enjoy the complimentary continental breakfast and afternoon refreshments, both of which are served in the recently renovated rooftop solarium. As an added convenience, concierge services stand ready to arrange horse drawn carriage tours, tickets to local attractions and even dining reservations. 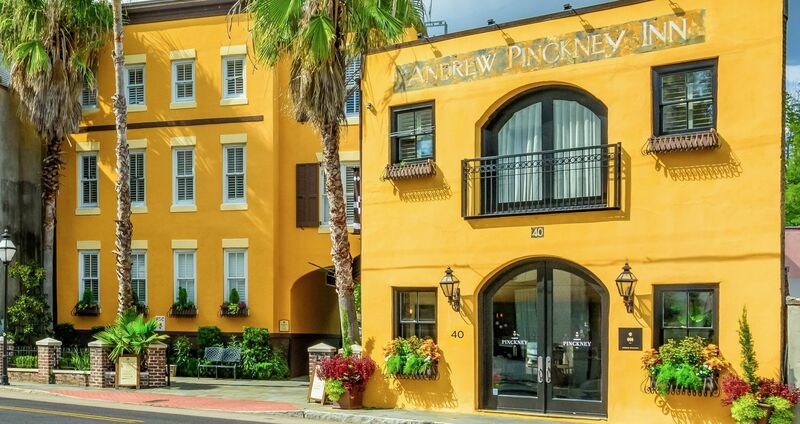 Experience the South and book your next vacation with one of the top Charleston inns situated in the heart of the downtown area—the Andrew Pinckney Inn.